At Seal King we offer residential sealcoating services. As asphalt driveways age, changes in color and texture are inevitable. Many factors including weather, sunlight, and traffic on the driveway combine to slowly alter the appearance of driveways and make them more brittle and prone to cracking. Sealcoating is a great way to keep your driveway looking new and to protect it from the elements. Of course, to receive these benefits it is very important that the sealcoating is performed correctly. At Seal King we offer commercial sealcoating services. As asphalt ages degradation and changes in color and texture are going to happen. As the seasons change moisture can seep underneath your asphalt and cause cracks or potholes. 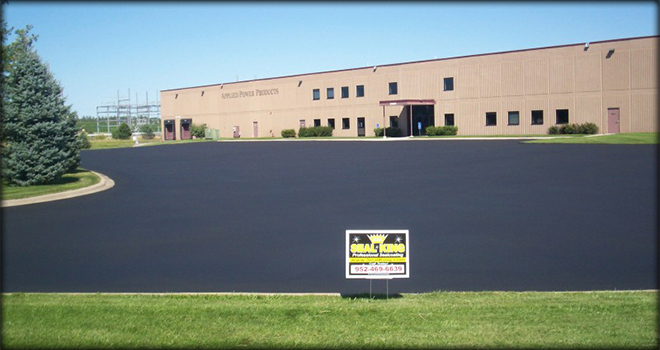 With Seal King’s commercial sealcoating services you can keep your asphalt looking its best, and keep it safe. Commercial sealcoating will extend the life of your asphalt, slow down oxidation and weathering, resist gas and oil spills, improve the appearance of the asphalt, and provide slip resistance. 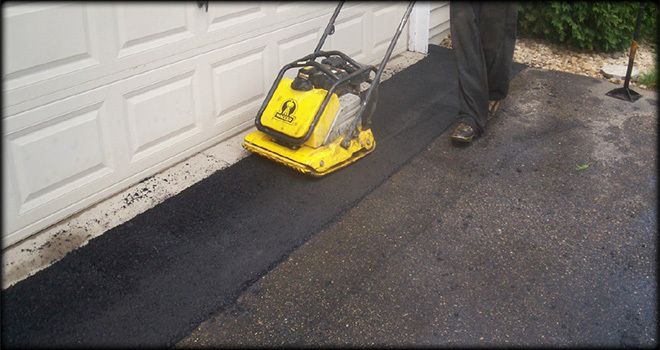 Asphalt repair is another area we specialize in at Seal King. Whether you need crack sealing, patching, or an asphalt overlay, we can complete any asphalt repair that you may need. Fixing cracks before they become a major issue is a part of good maintenance. Even small cracks should be sealed to prevent water or dirt from getting to the base layer and causing real problems. Seal King can seal these cracks tightly to prevent problems from occurring later. For areas with more damage than just cracking asphalt patching is an ideal solution. I’m Ben Nelson, Founder and President of Seal King. Our goal at Seal King is to provide our customers with the most professional and environmentally friendly products and high quality workmanship at a fair price. 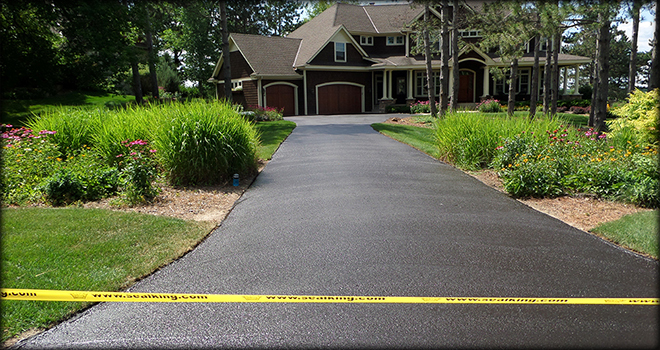 We understand how important your home is and take personal pride in working on your driveway. 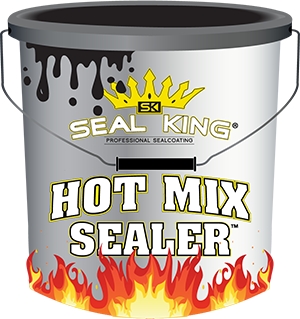 If you are not completely satisfied with your Seal King service, contact us before winter and we will work to resolve the issue. We will treat you with kindness and respect your home and personal property. That is the Seal King Promise. Higher Quality Product. Greater Attention To Detail. Professional Seal Coating For Over 28 Years. 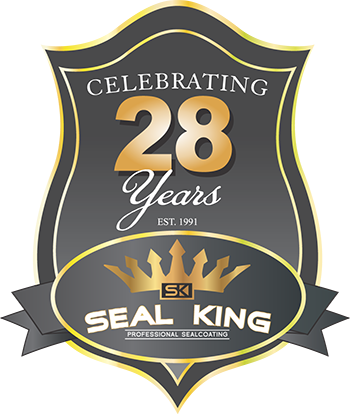 Seal King was founded in 1991 by the current owner and CEO, Ben Nelson. Seal King started as a one man operation with minimal tools and equipment, and focused mainly on residential driveway sealcoating. The company originated in Lakeville, Minnesota and continued for 2 years in Mankato, Minnesota while Ben Nelson attended Mankato State University. In 1993 the company moved operations to Eagan and began to operate with a small fleet of trucks and trailers from an outdoor storage lot. 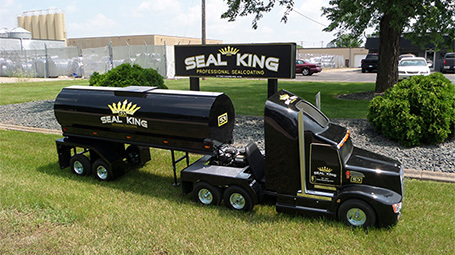 Seal King moved again in 1995 to Savage, Minnesota and rented a large outdoor storage lot with an onsite construction office trailer. 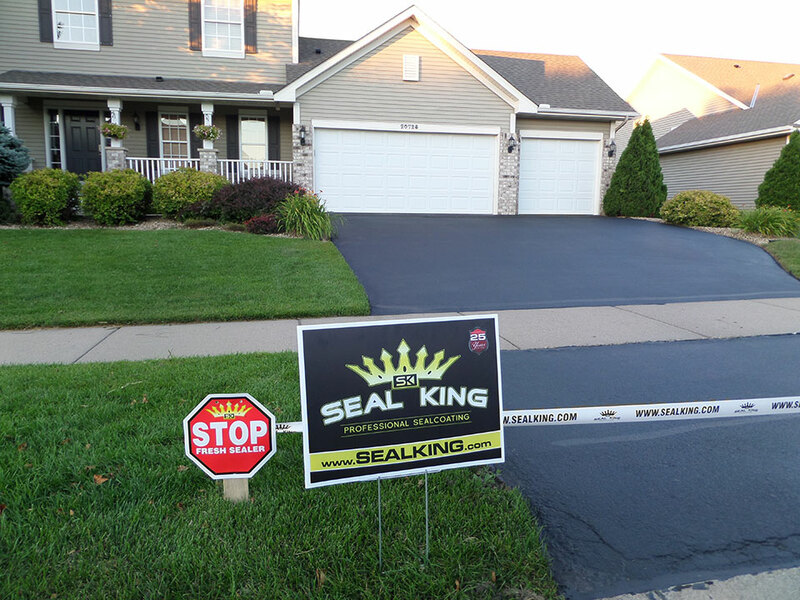 During the same year, Seal King began the franchise development program and sold the first franchise in Bloomington, Minnesota. In 2000 the Seal King Franchise program spread into Wisconsin and Iowa. Seal King’s operations soon outgrew the storage lot and office trailer. 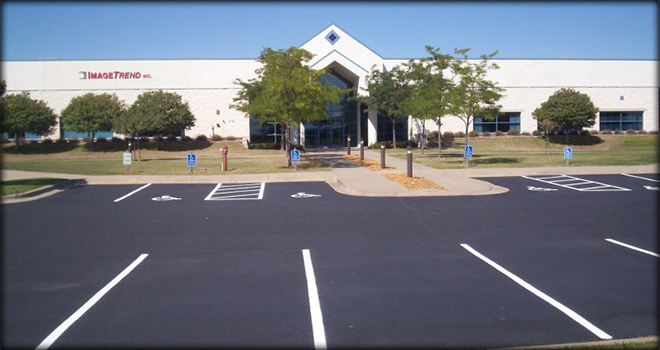 In 2001 Seal King purchased a 6000 sq ft office / warehouse in the Air Lake Industrial Park in Lakeville, Minnesota. This would become the new home and corporate headquarters.